At Bulgari, ‘advancement’ and ‘evolution’ are two key things the Italian luxury house has been pushing for its watches department in recent years, specifically those that hail from the Octo Finissimo line-up. Constantly breaking world records (The Octo Finissimo Tourbillon in 2014 and Octo Finissimo Minute Repeater in 2016) with the Octo Finissimo Automatic Titanium joining the hall of fame, winning the iF Gold Award at the recently concluded 2018 iF Design Award Ceremony on 9 March. A stunning piece that’s all about form and function, Finissimo in Italian translates to ‘superfine’ in English, which is pretty much the perfect description of the watch. Not only is it super fine in terms of thickness (just 2.35 mm for the self-winding movement), the attention to detail within each piece is taken to superior levels. 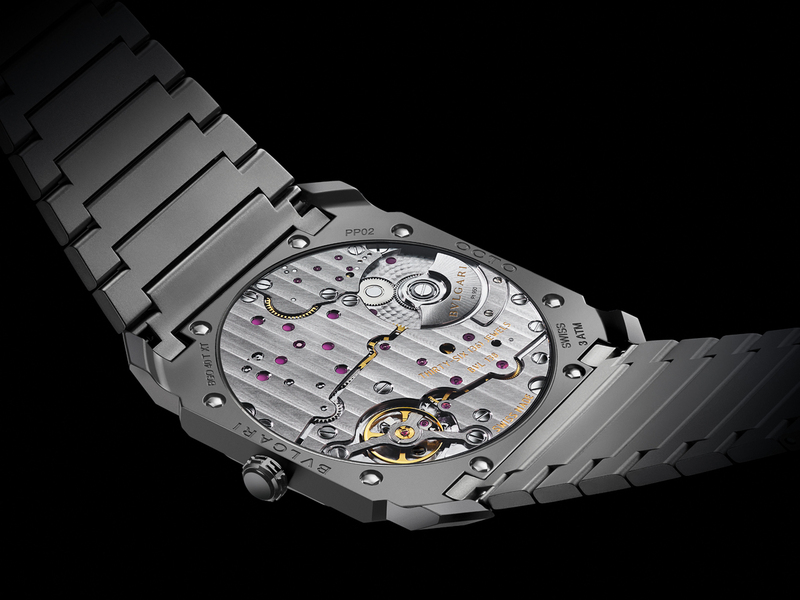 All 130 components in the movement have been reduced to the barest minimum, making it the world record holder for having the thinnest automatic movement. The Octo, on the other hand, simply refers to the octagonal face that’s alluring and charming all at once. Movement-wise, the Octo Finissimo Automatic comes in a mechanical manufacture with automatic winding (platinum microrotor) and is equipped with a 55 hour power reserve and water resistance of 30 metres. The Octo Finissimo Automatic Titanium is available in a single size, a 40 mm extra-thin titanium case (just 5.15 mm thick) with a matching titanium bracelet and steel folding clasp that’s got all the elements of a truly deserving award winner. Flip the watch around, and you will see a transparent case-back that’s unique, plus the titanium all around comes in a sand-blasted finish which gives it a look that’s definitely easy on the eyes. 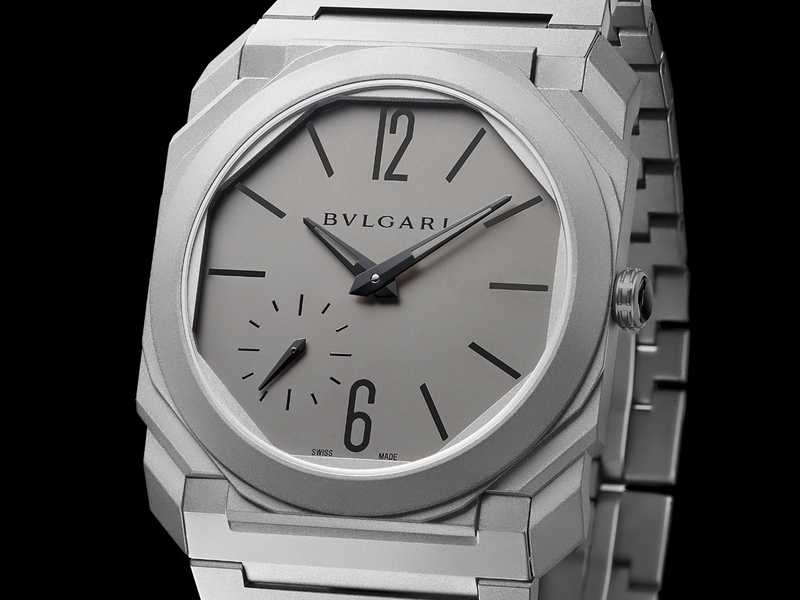 With constant advancements in the Octo Finissimo family of watches, and the awards the watches have been accumulating, you can be assured of Bulgari’s commitment to watchmaking, expertly combining Italian design while having each piece crafted in Bulgari Manufactures right in Switzerland. Having thoughts on getting a new watch for your man, or for yourself? Let this be it.